Let's get excited about nothing! It's part of the tradition around here to pore over the new rosters when they come out, but the rosters have been so devoid of new information lately that I didn't even bother until today, when we're starved for content and Brian used up all the football bits between open practice and UV. The new rosters don't have any updated weights (or heights) so we can't even obsess over who's a faster/more agile version of himself versus who packed on a bunch of muscle without losing any of that speed or agility (there is no other kind of weight change). What we're left with: Who's here, who's not here, and what numbers are they wearing. I mean it's this or you can hear Jay Harbaugh talk about the running backs he doesn't have. Right. QB Cade McNamara: #12. This number has been cursed ever since people starting buying it thinking it was Tom Brady's number in college (he wore #10). 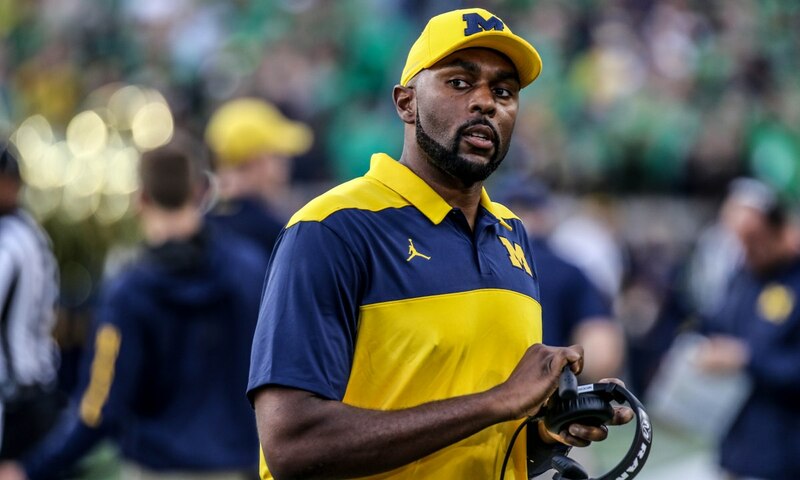 Brandon Williams and I are going to turn 40 this year, and he's the last guy to don #12 as a freshman and wear it at Michigan until his eligibility ran out. Josh Ross is working on it. Matt Gutierrez transferred after Henne Pipp'd him. David the Notorious C.O.N.E. left early. JT Floyd switched to 8. Roy Roundtree switched to 21. Devin Gardner was already disqualified for wearing 7 but still took 98. Allen Gant grad transferred. Alex Malzone didn't happen. It even clipped Chris friggin' Evans! Verdict: What are you doing Cade? 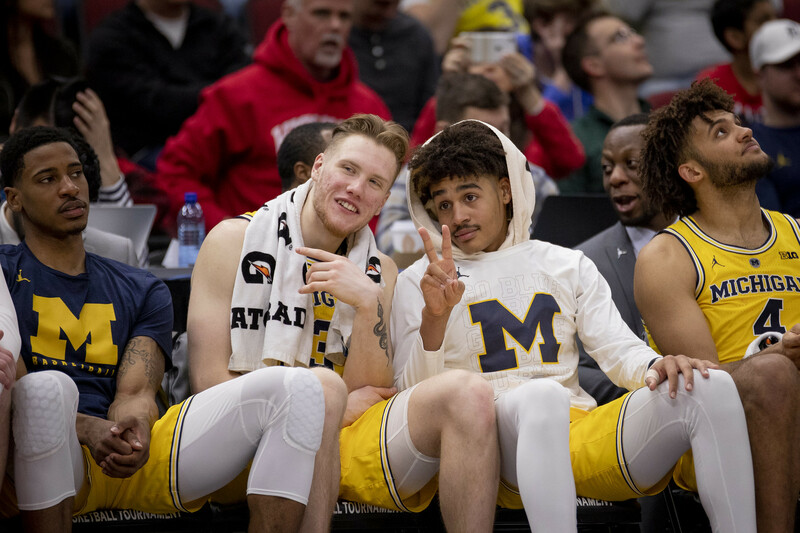 Do you even read MGoBlog? RB Zach Charbonnet: #24. The Butch Woolfolk number. 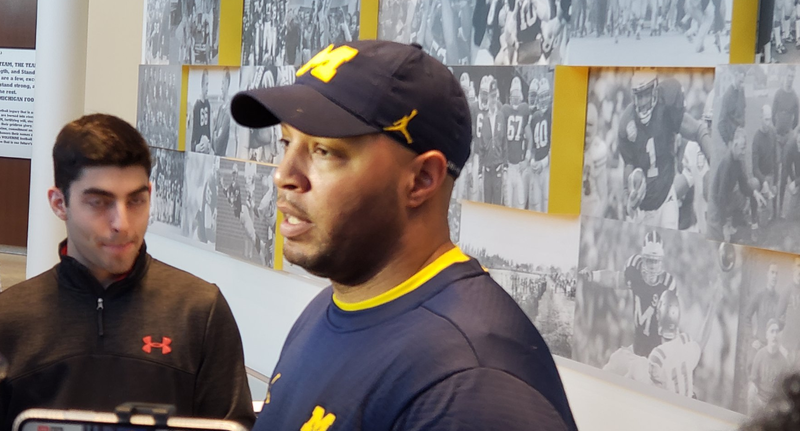 Gil Chapman, Mad Magicians quarterback (and OSU transfer) Howard Yerges, and MGoBlog-aware person Jerome Jackson also wore it. Verdict: Make it yours! Slot Mike Sainristil: #19. Of the few slots to remind us of, Kelvin Grady was both the most underrated, and the least likely. Obviously Ron Bellamy is the first and only receiver to come to mind—it's more of a kicker digit here. But I like it for Sweetness—figures an exciting slot bug from the Boston area would be the guy pulling Dark Tower references. Verdict: Sweetness. TE Erick All: #83. We just sent Gentry to the NFL. 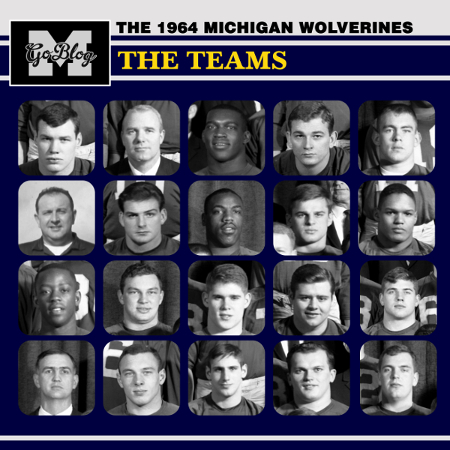 Bennie Joppru is the other TE modern Michigan fans might associate with it, but for a long time in the middle 20th century this was THE number for Michigan ends, the way Louis was the name for French kings, or how a Pope who ascends to the holy see right before a massive plague wipes out a significant portion of Europe always takes the name Urban. Verdict: Probably not a '50s reference, so he'd better be Ent-like. DT Mazi Smith: #58. We've already got a #58 DT in Paea so somebody is changing numbers if they haven't already. 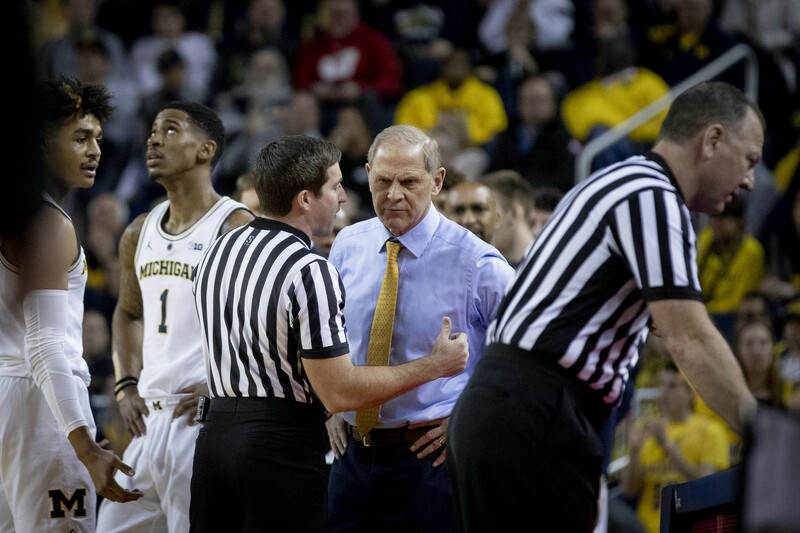 The precedent here is tiny 1970s middle guard Jim Humphries of the late 1970s, and tiny nose tackle of the late '90s Rob Renes, who like Mazi is from Western Michigan and probably the inspiration. Verdict: Renes reference; good sign. DE David Ojabo: #71. The only starting DE (well, DT but that was a DE back then) I can name who wore #71 was John Hennessee of the middle 1970s. Usually it's the guys opposite an Ojabo wearing #71. I like it. I like it when guys take walk-on-ish numbers and become The Guy you think of for that number at that position. Often, however, they're just doing so while waiting for the low number they wanted. 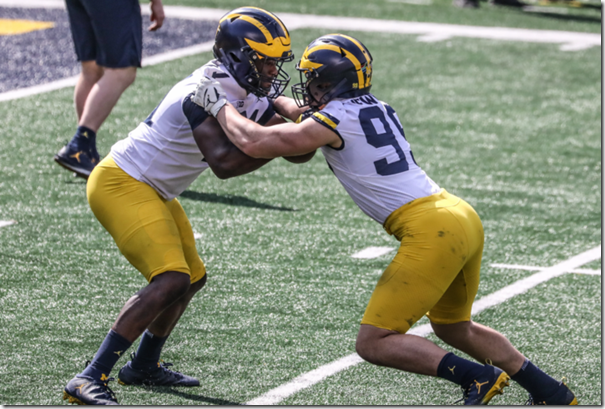 Verdict: Hope Ojabo keeps 71 because from the open practice he looks like an early contributor and a possible long-term anchor. Newburg chose the number that your videogame will automatically assign to whatever freshman DE you brought in. It's the most? "Oh, okay, you're a DE we want to bulk up to a DT" number. Matt Godin. Adam Patterson. Jake Frysinger. Damon Denson before his move to OL. Back in Bo's day it was the number for DEs who got called "OLB" on the roster because that sounds cooler: Dominic Tedesco, Carlos Bostic, Bob Thompson, Randy Stark. Pierre Woods was a throwback to that. Verdict: Generic Defensive End Number 1, the Penn State of number choices. CB Jalen Perry: #3. He's nowhere as tall as Marlin Jackson so I'm going to choose to believe this is a reference to Todd Howard. But if it's not Todd, he could be referencing Marion "The Body" Body. Tripp Welborne and Shonte Peoples aren't bad references if you're expanding to free safety. I'm just glad this didn't go to a Viper, because #3 was popular with the Rich Rod-era spurs. Verdict: Probably just wanted the low number. Charity Bowl! Folks, a new challenger appears. Big stuff first: GEORGIA TECH is your Day 1 leader, with a walloping $7536.82. The Jackets hold a commanding lead over MICHIGAN at $4869.27. Michigan, meanwhile, holds a commanding lead over everybody else. You know it is your destiny. If Michigan wins and they go over 100k, Spencer has to mail me a toe! Probably. I haven't cleared this with him yet but he ate cheese so this is nothing. REMOVE SPENCER'S TOE, DONATE. For the record this was not me. I am a happily married man. In fact I have never tried to get a date with a powerpoint, largely because I didn't think of it. 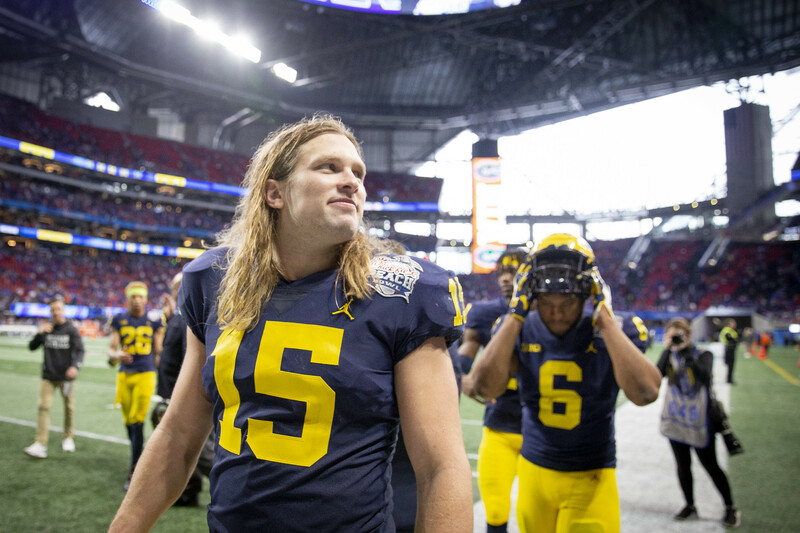 But he, too, recognizes that things are different with the Wolverines now, and he, too, has embraced it. It takes a lot to move Onwenu. Eh? Eh? Get it? Can you share your early impressions of the new look offense and the process of calling plays and whatnot? Does it help at all that it’s like last year where you came in and it’s all new with having to change offenses but having the knowledge of your personnel? Where have you been before that you’ve been through similar changes in the offense? And how did the transition go? How would you describe Josh’s persona or presence on the field and in staff meetings? “Yeah, on the field he’s intense. I love it. He’s intense, he’s focused, he’s detailed, he wants to get the most out of guys he can and really kind of fits along with the coaching style I have and the philosophy I have so really loving it. sometimes I?think amateurism should be abolished, and sometimes I think professionalism should be abolished? in which the criminally underrated 2001 Coen Brothers movie "The Man Who Wasn't There" is referenced? We're going to have to throw out a parental advisory?because there's no way to quote Jim Conley without F-bombing U.S. 23 from one end to the other. OT: Pistons make playoffs Posbang!